Launching a new product line, a new business or entering a new industry? Let your customers know by sending out a newsletter! 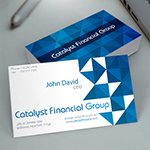 Our business card printing services would be helpful in promoting your new business. 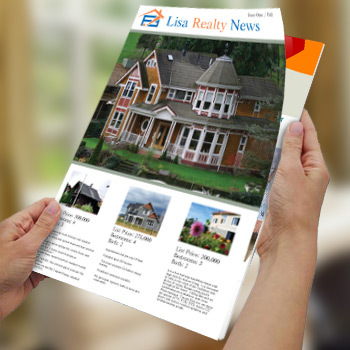 Newsletters give your organization a professional touch. Our newsletters are very widely used especially the 8.5x11" newsletter for product launches is an effective way of making your customers informed about what you are launching. At Printing Xpert you can get your professional & color Newsletter and Journal printing in a cost effective manner with striking visual design making your company distinctive. Our 5.5x8.5" newsletter printing for direct mail is a great tool to inform your prospective customers with product promotions and special offers. Printing Xpert is a complete solution for color newsletter printing requirements. We have years of experience in providing the best quality single and full color newsletter printing services to our clients. We offer customizable 11x17" quarter fold newsletter printing for schools in several different sizes and folding options. We utilize the latest printing technology to print your color newsletters to promote your business in the best possible manner. We hold proficiency in offering Newsletter Printing Service for our precious clients. It is high-quality and lightweight paper stock with glossy shine on both sides. 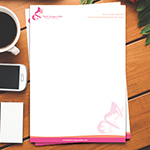 It is high-quality thick paper stock with glossy sheen on both sides. Saddle stitch staple is a binding tool that is designed to insert staples into the spine (saddle) of folded printed matter such as booklets, catalogs, calendars, newsletters or manuals. Interviewing experts in your field is a great way of allowing readers to learn from their experiences. For example, a real estate newsletter can feature a real estate mogul to inspire its readers and share valuable information. Allow reader interaction by asking their opinions on certain issues related to your business. Publish your questions on the newsletters and encourage readers to participate in the discussion by emailing their answers. Choose the best answers and publish them on the next issue of your newsletters. It would also be best to ask for your reader's feedback in order to produce articles in line with their topic of interest. 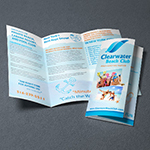 We offer newsletter printing service that is very ideal for your marketing campaign. Today I received the NEWSLETTER, the printing quality is BEST.. I salute you for such a great work! Next time I will order again. Who says that Quality Printing and affordable price is hard to get? Go to Printingxpert you will find everything! The back and front will be printed with all four print colors: cyan, magenta, yellow, and black to blend together for a full-color print. 80lb Glossy Text Paper: It is high-quality lightweight paper stock with glossy sheen on both sides. The total number of pages will be from 4pgs to 32pgs of your choice. Saddle stitch stapler is binding tool that is designed to insert staples into the spine (saddle) of folded printed matter such as booklets, catalogs, newsletters or manuals.